The AP ECET Eligibility Criteria are provided on this page. ECET stands for Engineering Common Entrance Test. The ECET exam is to fill the lateral entry seats of engineering courses. The interested candidate can apply for ECET exam 2019 to fill the vacancies of B.Tech, B.Pharm courses. On behalf of Andhra Pradesh state council of Higher Education, JNTU Anantapur released the AP ECET Notification 2019. The interested candidates can get admission to the professional courses such as B.Tech, B.Pharm with this Andhra Pradesh ECET exam. For diploma and degree holders, ECET is an excellent opportunity to get admission in 2nd year of Engineering courses of different colleges of AP. Latest News: AP ECET Application Form 2019 has been Released. Andhra Pradesh ECET Apply Online Last Date is 27th March 2019 with Out Late Fee. Engineering Common Entrance Test is specifically for degree and diploma holders. The nationality, education qualification and age limit will come into the category of AP ECET eligibility criteria. The interested candidate can check the details of Andhra Pradesh ECET 2019 eligibility criteria on our page. Applicants who satisfy the below eligibility can apply for Andhra Pradesh ECET exam. 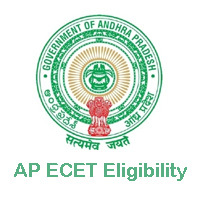 You can find the detailed information about AP ECET eligibility on the official website. The Jawaharlal Nehru Technological University of Anantapur conducts the AP ECET exam 2019. Every year the admissions into Engineering courses of Andhra Pradesh state is initiated by JNTUA. on 11th February, JNTUA released the AP ECET Notification 2019. Jawaharlal Nehru Technological University, Anantapur is located in the Andhra Pradesh State. For over four decades, the JNTUA is providing quality education for young students. On behalf of Andhra Pradesh state council of Higher Education (APSCHE), JNTU Anantapur released the Engineering Common Entrance Test. With the ECET exam, the JNTUA is filling the admissions of Lateral entry B.Tech and B.Pharm courses of Andhra Pradesh. The details like AP ECET eligibility, important dates, application fee etc are available in the ECET Notification. For AP ECET 2019 exam, the candidate should belong to Indian nationality. The appearing candidate should belong to the state of Andhra Pradesh and should satisfy the local and non-local requirements of government. The education qualification differs depending on the courses. So, check the education qualification for AP ECET below. A 3-year B.Sc degree with Mathematics as one of the subjects in the group from the recognized university or institution in the state of AP. The candidates who completed the practical training and are currently pursuing diploma course are eligible. Aspirants must pass the Diploma with 45% marks in Engineering and Technology/ Pharmacy/ B.Sc degree. Minimum Age: The candidate should possess a minimum age of 18 years. Maximum age: 22 years for general category and 25 years for reservation candidates. Please help me sir iam eligible for Fee Reimbursement or not…….